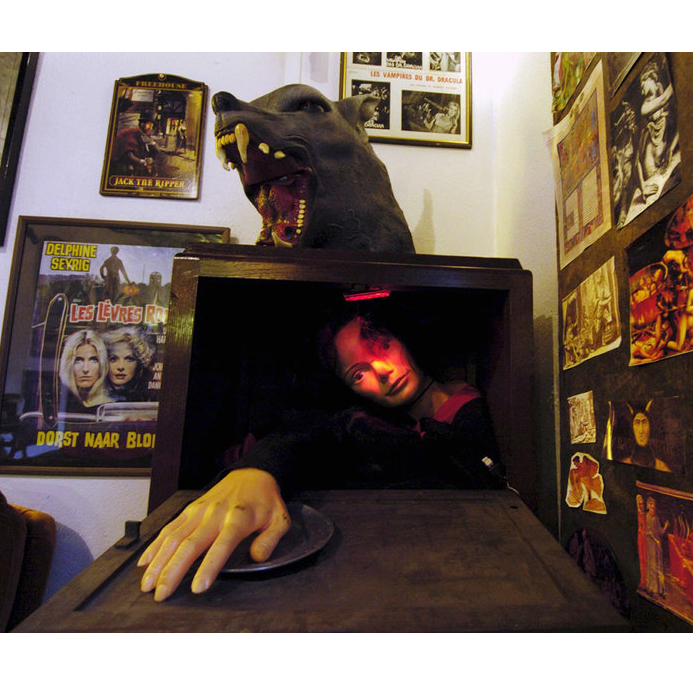 This Vampire Museum Will Haunt Your Dreams. For Eternity. For some, Halloween is a children’s holiday, a time to dress up as a princess or a superhero and collect candy from kindly neighbors. For others, however, the spooky holiday is a dark reminder of the malignant forces and ghoulish monsters that may lurk in the shadows. One such place that embraces the darkness of Halloween is Le Musée des Vampires, or the Vampire museum, outside of Paris. This cabinet of curiosities, open year-round, displays art objects and historical artifacts that recall the macabre history both of France and beyond. Located in a townhouse on the outskirts of Paris in the suburb of Lilas, the museum is its own kind of “haunted house,” according to the museum’s founder, Jacques Sirgent. But what makes the museum frightening is not the fear that vampires might exist but the knowledge that what they represent most certainly does, according to Sirgent. Rare texts, antique books and a vampire killing kit are just a few of the objects that can be found in this unique collection, according to Atlas Obscura. Sirgent, a scholar focusing on the Middle Ages, founded this private museum that is available by appointment only and costs eight euros for entry. Other objects include an autographed photograph of Bram Stoker, author of Dracula, and a mummified cat found in nearby Père Lachaise cemetery. Sirgent is available to give lectures on the museum’s collections as well as the history of some of the vampiric burial practices of some French people during medieval times. While Sirgent noticed an uptick in visitor around the Halloween holiday, he said he sees aficionados of the undead in all seasons. “Good and evil is a year-round phenomenon,” he said.